Home » European River Cruises » Reflections of the Seine River Cruise – Free Air! Reflections of the Seine River Cruise – Free Air! European river cruise deals like this don’t come around often! When you think about France, what comes to mind? Perhaps it’s the iconic Parisian landmark, the Eiffel Tower. Maybe you think of fine French wines, beef bourguignon or coq au vin, the Louvre, or dozens of other places, fragrances, tastes, and visuals you associate with this beautiful country. You can experience all that and much more on Avalon’s fantastic Seine River cruise. You will get a marvelous view and experience of France, her cities, villages, foods, wine, and people on the very best Seine River cruise ever. What could make river cruises in France even better? At CruiseExperts.com we know it is free air fare, and that’s what you’ll get on this cruise in addition to a great price of only $3,299 including your flight! This exceptional cruise is filling up fast, so call us today at 1.888.804.CRUISE (2784) and we will get you booked before every space is sold out. Cesar has been very helpful and courteous. I have a family of 7 so a cruise such as we are taking really does take some arranging with which you folks have really done well. I am sure when we cruise again in the future we would give you folks first opportunity to serve us. — Ken B.
Click here for details about Avalon’s Reflections of the Seine River Cruise. Are you excited yet? Keep reading to learn about some of the stops you’ll make along the Seine and what sights you will see! 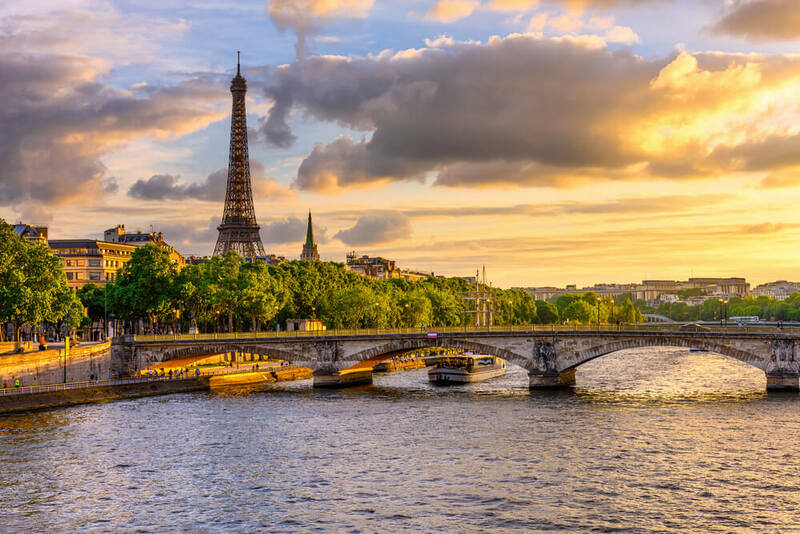 You’ll spend a day plus in Paris, the City of Lights, exploring the streets, shops, cafe’s, restaurants, galleries, and historic sites before spending the night in a deluxe Paris hotel. You’ll have a little more free time in Paris the next morning before transferring to Le Havre to board your ship. It’s the perfect time to snap a few more photographs and to pick up some gifts or souvenirs. In Le Havre you may choose to go on guided tour to the seaside city of Honfleur. Cobbled streets, homes built in the 16th – to 18th-centuries inspired the such master artists as Monet and Boudin. Other excursion options are available. Rouen is the home of the church martyr, Saint Joan of Arc, and the Cathedral of Notre Dame. You can visit the medieval quarter and see the 16th-century Astronomical Clock. You’ll enjoy live entertainment on your ship in the evening.